MOVIES the bad politicians DON'T WANT YOU TO SEE! America is a country defined by its cultural heritage, its history, our media and our movies. At the Cutting Edge - a talk show, we believe that if you haven't seen ALL of the movies listed below - there may be some doubt as to your level of patriotism. WARNING: the movies listed below may require several viewings. The following pre-disco Disney presentations are suggested: Bambi, Dumbo, Three Caballeros, Pinocchio, Snow White and Sleeping Beauty, and David Crockett "King of the Wild Frontier" The following American Television Shows are available from Columbia House and are suggested: Maverick, Have Gun Will Travel and the Rockford Files. Additionally, two very important television series regarding America are: Victory at Sea and The Big Picture. Finally, the biggest breakthrough series in America today is the: Sopranos - available now on HBO! 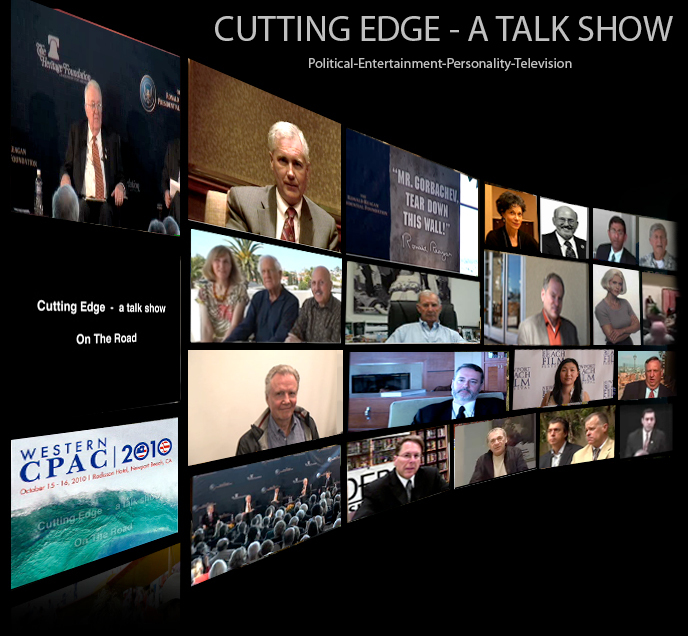 Cutting Edge - a talk show invites your suggestions. Surely, we have missed many important movies which should be watched, however - mainstream is normally NOT where you will find the important information. Confidently, we suggest, after viewing all of the above - you are truly an American and can address any potential problem facing our country with "conviction"!